Boil milk in a pan and reduce it to 3/4th quantity. Take 3 tbsp of hot milk in a bowl and mix the rice flour to a thin consistency Add this to the boiling milk in low flame. Keep stirring for 5-6 minutes. 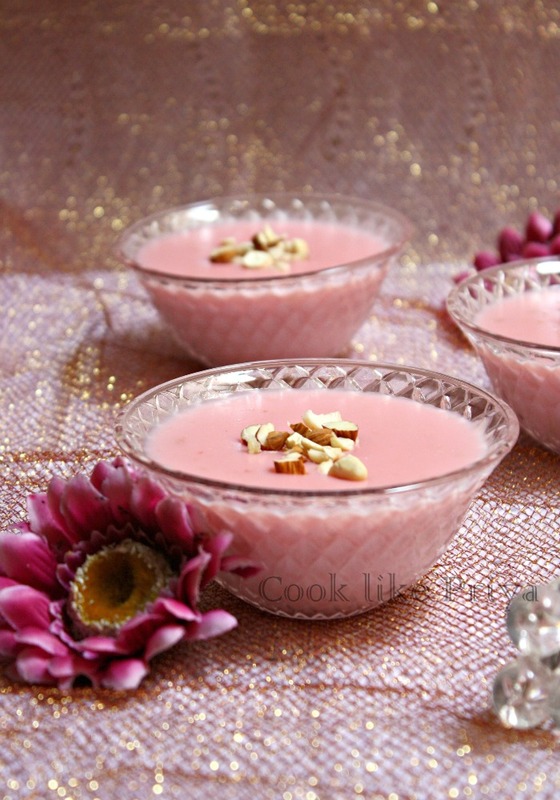 Add sugar, rose syrup and gulkand mix well. Bring it to room temperature and refrigerate for 3 hours minimum. 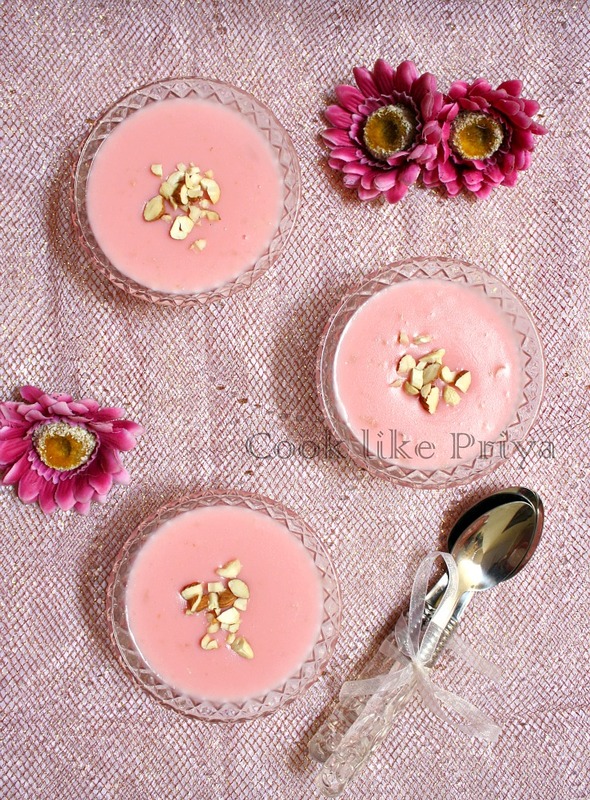 wow..Priya this looks so delicious with lovely presentation..
Love gulkand da.. The phirni has got a beautiful color and looks yummy.. Beautiful presentation da..
wow , What a colourful phirni. Looks very yummy and beautiful clicks too. Wow dear, very impressive! Delicious and beautiful color! 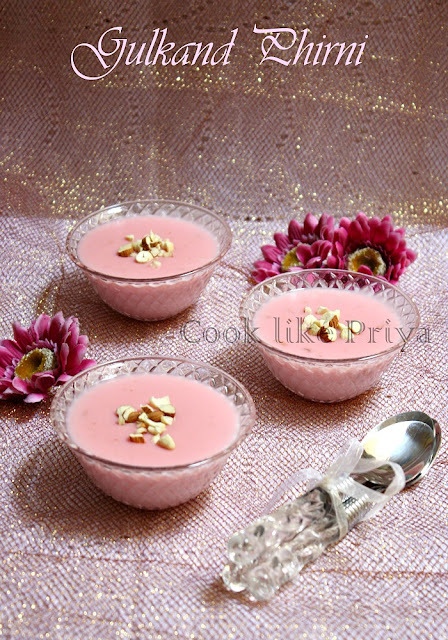 lovely pretty pink color,looks so tempting...wonderful clicks. 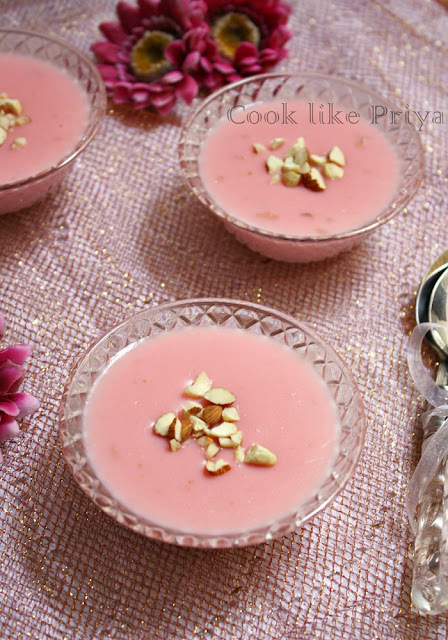 wow..gulkhand phirni looks so creamy n delicious, loved its texture n pretty pink color :) am yet to try this phirni, now u tempted me to make it soon..
beautiful pics n presentation Priya! 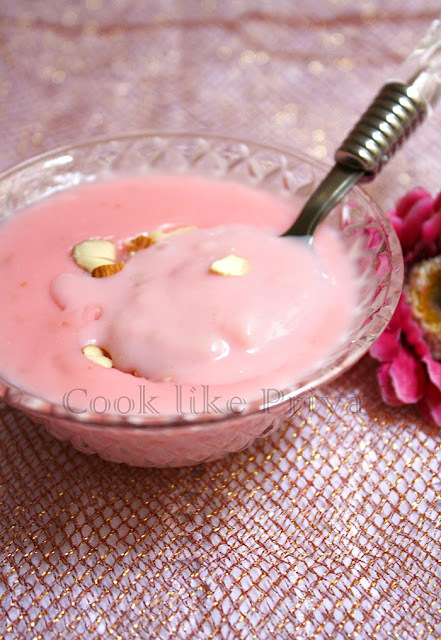 I keep seeing Phirni recipes but havent tried yet. Your looks too good! Will try sometime and let you know! Looks great Priya. I don't think I've ever eaten Phirni before. Love that baby pink color, looks so delicious.. I never had this dessert before. Seems like it has the consistency of custard. Looks yumm and I am sure it tastes good too.